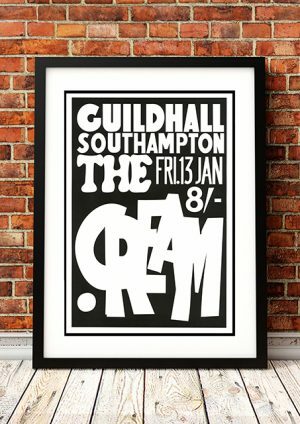 Classic Cream Band Concert Posters and Memorabilia! Buy Online Now! 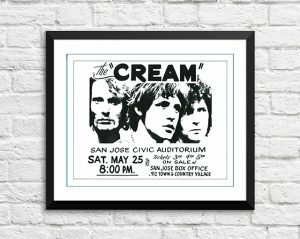 Although Cream were only together for a little more than two years, their influence was immense, both during their late-’60s peak and in the years following their breakup. Cream were the first top group to truly exploit the power trio format, in the process laying the foundation for much blues-rock and hard rock of the 1960s and 1970s. It was with Cream, too, that guitarist Eric Clapton truly became an international superstar. Critical revisionists have tagged the band as overrated, citing the musicians’ emphasis upon flash, virtuosity, and showmanship at the expense of taste and focus. This was sometimes true of their live shows in particular, but in reality the best of their studio recordings were excellent fusions of blues, pop, and psychedelia, with concise original material outnumbering the bloated blues jams and overlong solos. 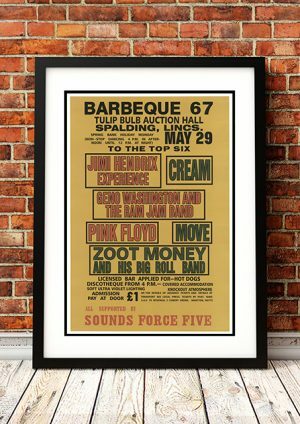 We stock some awesome Cream Band Concert Posters.